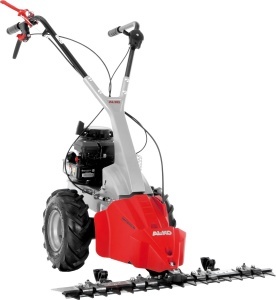 A robust machine ideal for long grass & thick weeds. 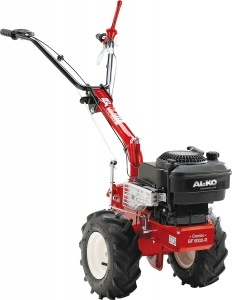 With a 102 cm cutting width, the AL-KO 5001-R II can tame even the wildest gardens. A scythe or sickle-bar mower is the ideal solution for gardeners looking to maintain natural sections of their garden, or for use in high-grass meadows. This machine can deal with thick and matted weeds, as well as the tall grass that conventional equipment will not be able to safely handle. Due to the movable grass deflector, no grass is left lying on the cover, and depositing of the grass is improved thanks to a shorter distance between wheel and beam. Important for machines dealing with tough jobs, the AL-KO 5001-R II has an enclosed drive system that's less prone to contamination, improving operating times and extending service life. The ESM blade is also specially hardened and boasts infinitely height-adjustable outsoles, so you can focus on the mowing rather than worrying about the quality of your machine. The engine is a 190 cc 2.4 kW Briggs & Stratton E-Series 625, providing power and reliability from a trusted brand. The handlebar on this machine is not only height-adjustable, but uses vibration damping to ensure optimum handling and a comfortable drive. This is especially important if you are likely to be using it on rougher ground, as well as making it more practical and easier to transport. 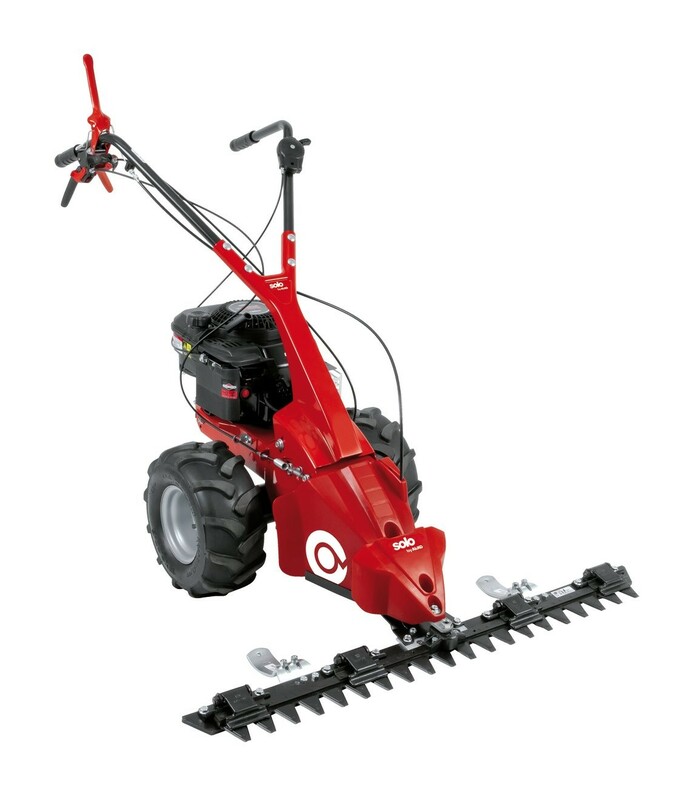 It is straightforward to manoeuvre, reducing fatigue during operation, and has the added bonus of snow plough and snow chain accessories available to purchase separately to increase its versatility. Powered by a 190 cc, 2.4 kW Briggs & Stratton engine, this scythe mower uses its 87 cm cutting width to make light work of tall grass or thick, matted weeds in wild gardens or meadows.